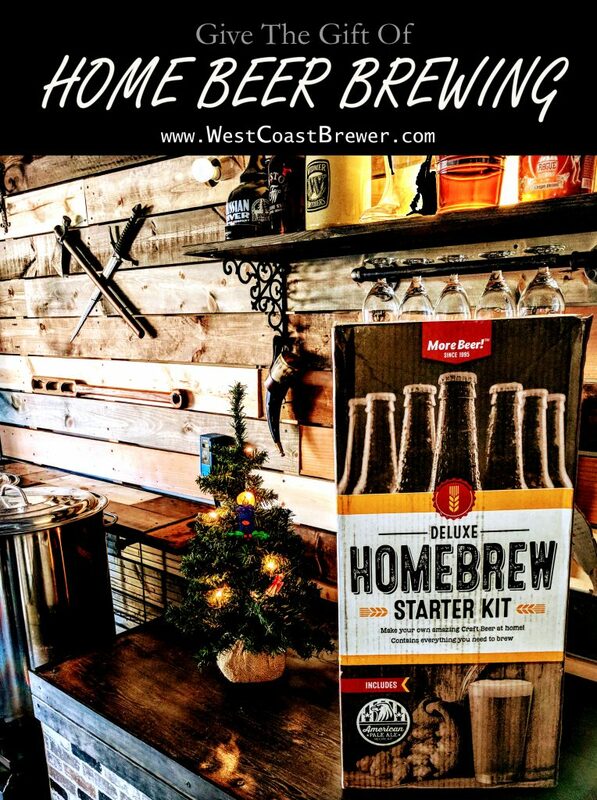 With the Holidays upon us and people scrambling to find the perfect gift, tis the season to give the gift of home beer brewing! A beer brewing kit is one of those gifts that any beer fan is thrilled to receive! Not only does it provide the recipient with a batch of their very own home brewed beer to enjoy, it also educates them on the beer brewing process! With one of these home beer making kits, you actually produce beer similarly to how current craft breweries make beer; only on a smaller scale. You doing everything from boil wort and add hops additions to pitch yeast and ferment your beer! Over the last several years, home beer brewing has really surged in popularity and there are several options out there for home brewing kits. There are a few things to consider when picking the perfect beer making kit. 1 Batch Size: Most beginner home beer making kits will come in either a 1 gallon or 5 gallon size. The 1 gallon kits are typically less expensive, but if you can afford the 5 gallon kits, I highly recommend them. I know 1 gallon of beer sounds like a lot, but it is only about 8 glasses of beer and will go very quickly if shared with friends! A 5 gallon kit is only about twice the cost of the 1 gallon kits, so it is a much better value. 2 What Does The Kit Include: There are few things more frustraiting than brewing your batch of beer and then at the very end realizing that you are missing a critical item and your beer is ruined! So make sure that you purchase a complete kit, so home beer brewing kits do not even include the beer ingredients or yeast! 3 Cost: It is easy to spend way to much for a home beer brewing kit, especially when brewing kettles and shipping charges come in to play. 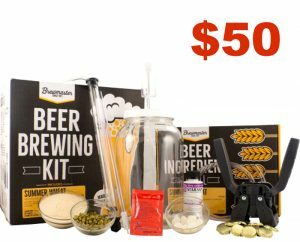 I have listed 3 kits that are a great price, include everything needed to start brewing a batch of beer and ship free when the order is $59 or higher! This is the home beer brewing kit that I would recommend if you are on a tight budget or only want to brew 1 gallon beer batches. With this kit, you will need to supply the brew kettle, but just about any large kitchen pot will do the trick! Click Here to purchase this home made beer brewing kit. 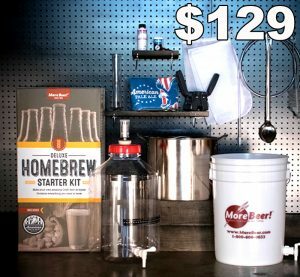 This is the best deal out there for a 5 gallon home beer brewing kit, especially when you consider that it ships for free, comes with a 5 gallon stainless steel brewing kettle and a beer ingredient kit! Click Here to purchase this 5 gallon beer brewing kit. Lastly is a premium home beer brewing kit that comes with some advanced home brewing items including a copper wort chiller and upgraded 8.5 gallon stainless steel brewing kettle with a valve. 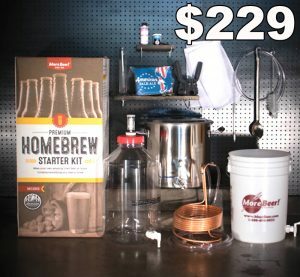 This is a fantastic home brewing kit to get started with! Click here to purchase this home brewing kit. If you have any questions on home brewing or need any advice, please feel free to reach out to me, I am always happy yo help when I can.